Credit: NASA. Download this image (PNG, 357 KB). 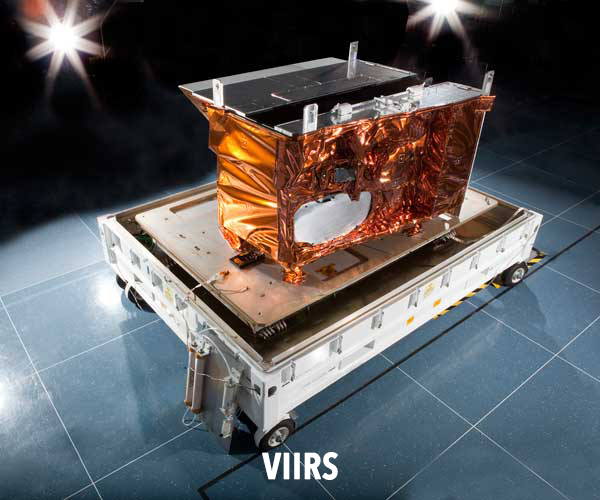 [08-Jan-07] VIIRS was designed to collect radiometric measurements of Earth in the visible and infrared spectra. These data are used to provide insight into the properties and dynamics of different geophysical phenomena, including aerosol and cloud properties, sea, land and ice surface temperatures, ice motion, fires, and the albedo of Earth.